At Gerdes Construction, we understand that time means money when it comes to commercial construction. That is why we are committed to making sure your commercial or industrial construction project is completed on time, within budget and according to your specifications — all of course with unparalleled attention to detail. 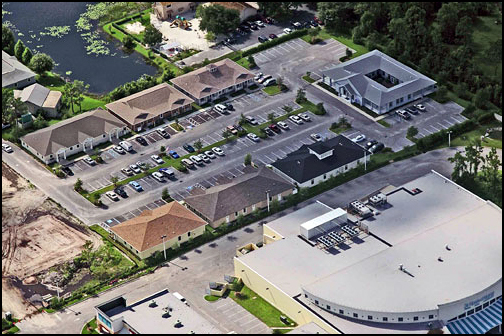 Whether your commercial project is in Tampa, Clearwater, St. Petersburg, Sarasota, Naples, Fort Myers or some other location in southwest Florida, you can rest assured knowing that we have decades of experience in everything from stand-alone new buildings to heavy industrial facilities, retail and shopping mall complexes, resort and hotel construction, and other forms of commercial development. 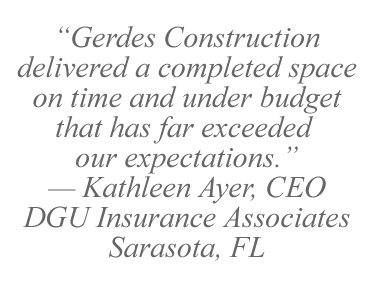 Click to view samples of commercial and industrial projects completed by Gerdes Construction.